The jewelry of the former costume designer evokes ancient Rome, with homage paid to the Greeks and Etruscans, too. 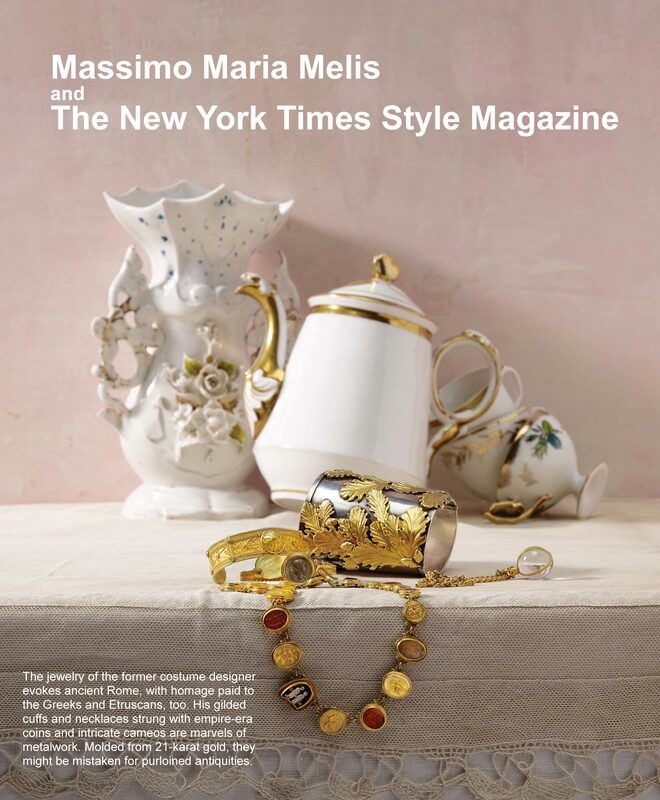 His gilded cuffs and necklaces strung with empire-era coins and intricate cameos are marvels of metalwork. Molded from 21-karat gold, they might be mistaken for purloined antiquities.